Don’t write about “The Hunger Games” in your college essays. Write about other books instead. Demonstrating a love for reading is important in the college admissions process. After all, if you don’t like to read, you don’t really have a thirst for learning. And a thirst for learning, to expand your knowledgeable, is so important in college admissions…and in life! If you happen to write about books that have influenced your thinking (or your life) in your college essays, try to avoid writing exclusively about “Twilight” and “The Hunger Games.” Do you know how many students submit essays with references to “Harry Potter,” “Twilight,” and “The Hunger Games?” Seriously. Enough is enough. And that doesn’t mean you should be referencing “50 Shades of Grey.” That would be a bad idea, too. Try to show your intellectual side. 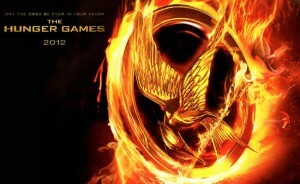 It’s nice that you read all of the books in Suzanne Collins’ “The Hunger Games.” They’re great books! And Lionsgate is making some great movies based on the books. But this does not showcase your intellectual side. This does not make you unique. You’re now one of thousands writing about the very same characters, the very same book. Dare to be different. Dare to write about a book that has influenced you that few people have read. Dare to write about a book that is controversial for its line of thinking. Henry David Thoreau’s “Walden” was one such controversial book. This is a great book to write about. Even better is when you can write about a book that is not required reading at your school. Do you read for pleasure? You should. If you do, what books have influenced you? What characters in these books stand out to you? Can you write about this in your college essays in a compelling way? If so, it can often be a great place to start. So take our advice. No “Hunger Games!” Oy vey.